DESCRIPTION/ Sale Lane is a new commercial building currently under construction at 46 Sale Street, Auckland, New Zealand - a location that is now thriving with activity and new buildings. The seven storey building is set to provide high quality office spaces in the Auckland CBD, and is equipped with two underground carparks, a large lobby and a ground floor cafe. TRACKLOK® and GRIDLOK® were employed to secure partition walls and acoustic ceilings in this state of the art development. 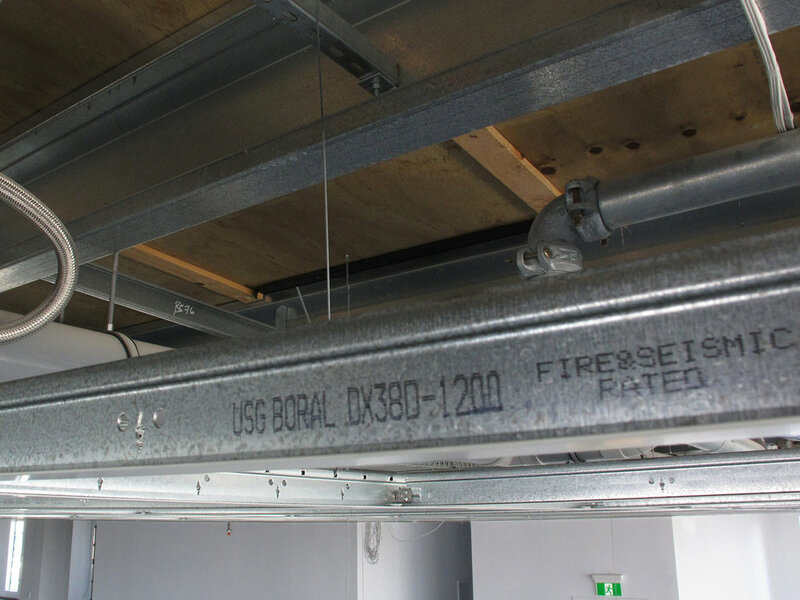 With the time and cost efficiencies of installing TRACKLOK® and GRIDLOK® the contractor was able to complete the project rapidly and to code.